Falvey Memorial Library :: For George H.W. Bush. In Bush’s Inaugural Address, he pledged to use American strength as a force for good. Like his father, Prescott Bush (a senator from Connecticut), H.W. was passionate about public service and politics as a young man. After serving two terms as a Representative to Congress from Texas, Ambassador to the United Nations, Chairman of the Republican National Committee, Chief of the U.S. Liaison Office in the People’s Republic of China, and Director of the CIA, Bush campaigned for the Republican nomination for President in 1980. Despite his loss in 1980, Bush served as Vice President to Ronald Reagan, was nominated for President in 1988, and won the general election alongside Senator Dan Quayle of Indiana. 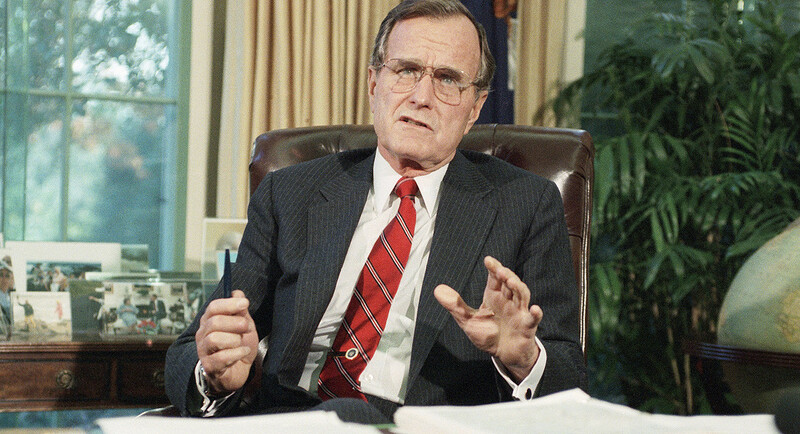 At the start of his presidency in 1989, Bush faced a world in the midst of dramatic and consequential changes. The Berlin Wall fell. The Cold War ended. The Communist empire ended. The Soviet Union ceased to exist. Gorbachev resigned. In 1992, he lost his bid for reelection to Democrat William Clinton. H.W. married his wife Barbara in 1945. They had what some considered a “storybook romance” of 73 years. He passed away just eight months following her death in April. 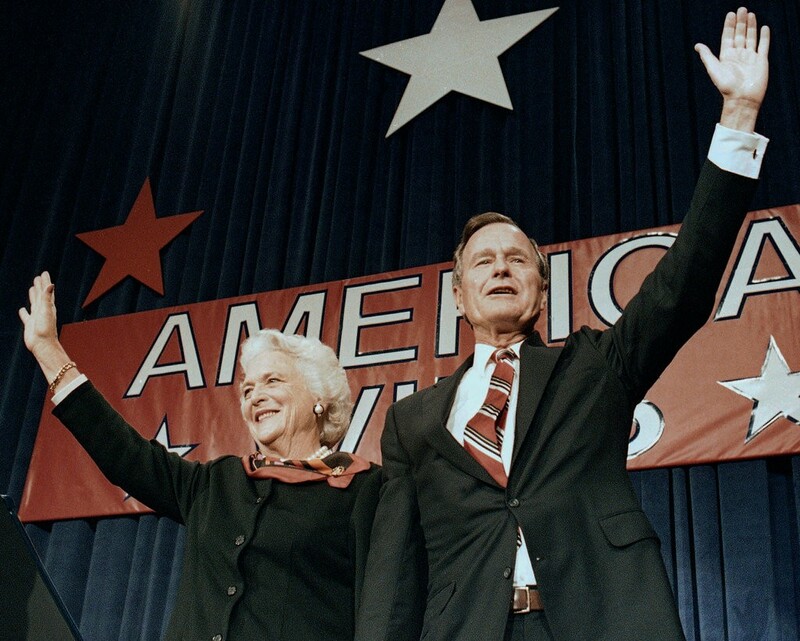 Barbara, along with the entire Bush family, were known for their commitment to education, literacy, and libraries. During her time in the White House, the First Lady created the Barbara Bush Foundation for Family Literacy. She was also integral in her husband’s passing of the National Literacy Act in 1991. The Falvey Library is both deeply humbled and grateful for the Bush family’s belief that education and literacy are American civil rights. 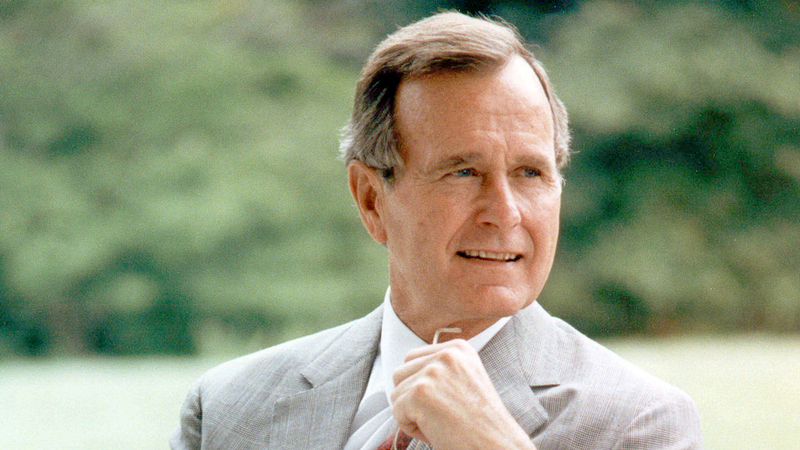 George Herbert Walker Bush belongs to a political dynasty; he sits in the middle of three generations of politicians, including his father Prescott, a senator from Connecticut; his son Jeb, former governor of Florida; and his son, George Walker, the 43rd President of the United States. George H. W. and George W. are the second set of father and son to become President. The Falvey Library has two texts in the collection that detail the life of our forty-first president, 41: Inside the Presidency of George H.W. Bush, and George H. W. Bush: Character at the Core. There are also a number of databases where you can look at all of George H.W. Bush’s presidential documents, like The Avalon Project and The American Presidency Project. The University of Michigan also has a database of all the public papers of the Presidents of the United States. Additionally, UVA’s Miller Center features in-depth essays covering Bush’s foreign and domestic affairs, family life, and impact and legacy. 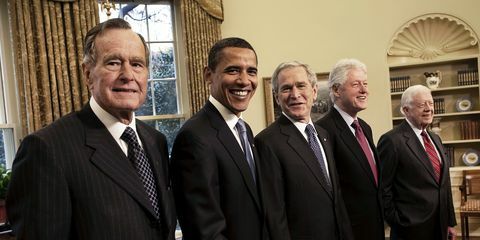 From left to right: Former Presidents George H.W. Bush, Barack Obama, George W. Bush, Bill Clinton, and Jimmy Carter. Source: Town & Country Magazine.